Hash Code is a team programming competition organized by Google for students and industry professionals across Europe, the Middle East, and Africa. You pick your team and programming language, Google picks an engineering problem for you to solve. Yonder has organized a hub in Cluj at the Yonder office for the Online Qualification Round on Thursday, March 1st, 2018. We welcome all programmers in Cluj to participate in the contest at our location; this means a fun, innovative and energetic atmosphere. Plus, we will share some goodies with you! You can register via the Google Hash Code site and choose the hub where you want to join. Registration is free of charge and will close on 26th February 2018 at 18:00 CET. If your team is selected, then Google invites you to the final round. For each round of the competition, Google will present a problem (see past problems here) and your team will write a program that generates a solution. Your team can submit as many solutions as you’d like using the online Judge System, and a live scoreboard will let you know how you stack up against the competition. Top scoring teams will win cool Google prizes because of course, you can’t host a programming competition without something to work for! 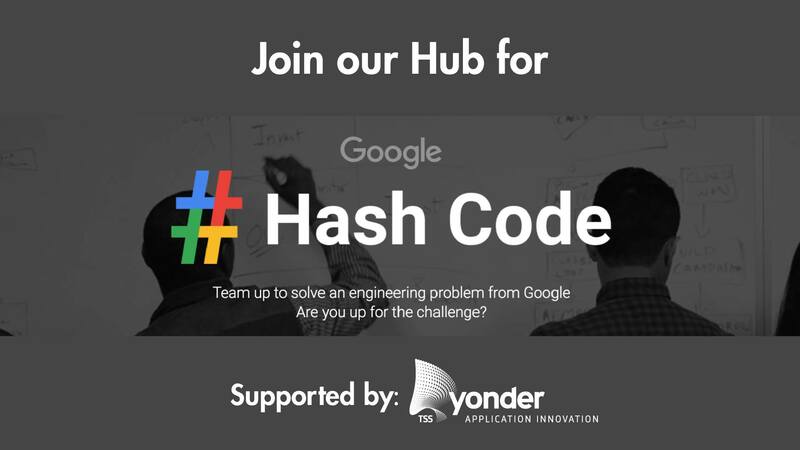 Follow the Yonder updates on the Google Hash Code hub on our facebook page. STAY TUNED Subscribe to our newsletter today and get regular updates on customer cases, blog posts, best practices and events. Is Yonder ready to help clients prepare for the future?